The Plexis POS system is designed to store your data in organized file folders. 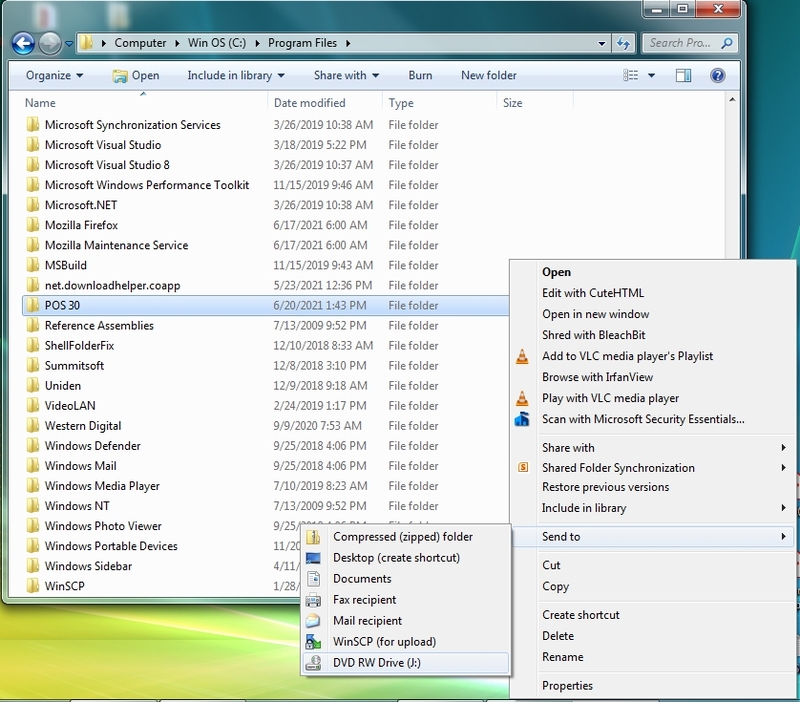 All that needs to be done is to copy that folder data to a backup device of your choice. You can use an external Hard Drive, Memory Device, CD/DVD ROM, Tape Drive or any other storage device compatible with the Windows Operating System. 1. Exit Plexis POS from all computers out to Windows. 3. Copy this ENTIRE folder and ALL sub-folders to your backup Device. 4. If successful you now have a complete backup of the system including all company data. 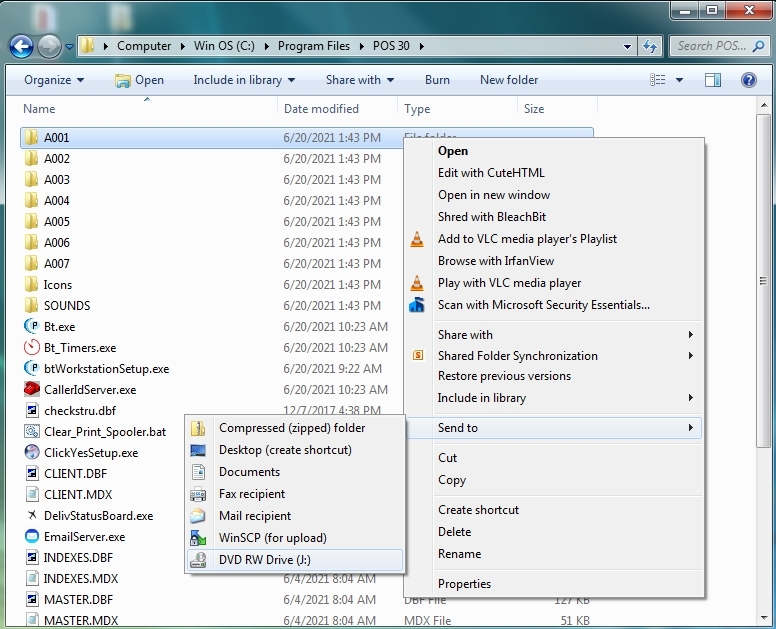 We selected all files and folders and then RIGHT mouse clicked and choose Send to DVD ROM. All of the files were copied to a blank DVD. 4. Copy this folder to your backup Device. 5. If successful you now have a complete backup of all company data. We selected A001 (sample company data) and then RIGHT mouse clicked and choose Send to DVD ROM. All of the company data files were copied to a blank DVD.